Welcome back to day 2 of our summer preview! 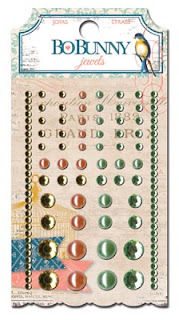 This time we have a classic vintage line that you can use over and over again. The Avenues also has all the coordinating Misc Me products to go with it! So what do you think? Are you making room in your scrap room? Any favorite items? I just love those birds! Leave us a comment for a chance to WIN some of The Avenues! 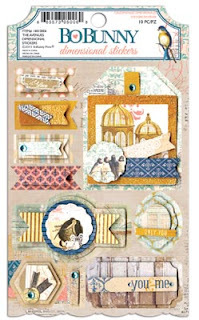 Really loving the layered chipboard and the gorgeous combination of colors in this collection. The door papers look fantastic! Super pretty! 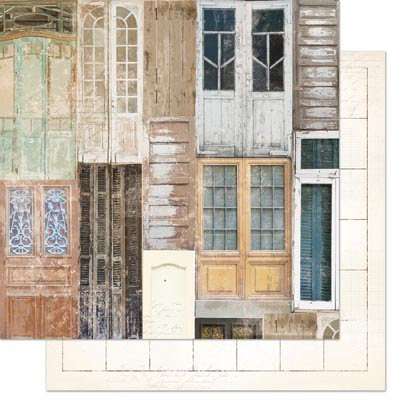 This would be really nice to scrap Europe pics with...the shutters make me think old Italy. Love it all ; ) Is it out in stores yet? wow oh wow! I adore the colors and design of The Avenues. It will be another addition to my Bo Bunny must haves. 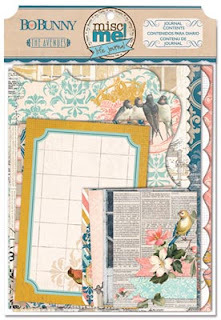 The first thing to get on my scrapping list is that to die for Door Mini Album! So Unique and oh so gorgeous! It's a beautiful line! I adore that shutters page! oh, is this ever pretty! Another beautiful collection! I love the mini album!! the shutters are awesome! also like all the patterns and colours! it'a perfect for a family album! Fabulous collection. Love the colours! I love the colors, doors and birds. Loving this!! I am not normally a big vintage girl but WOW! 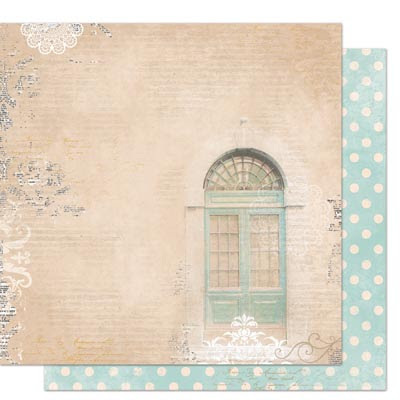 I LOVE, LOVE, LOVE those doors, shutters, and mini album...fabulous! I already have some ideas for the doors and bird cages... Great collection ! This collection is gorgeous! I love everything! Omgosh! This collection is STUNNING! 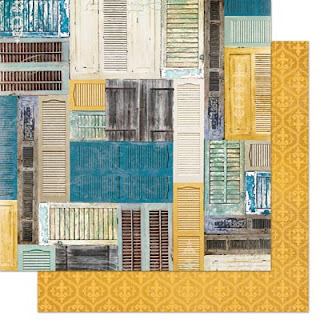 I love everything - especially the doors and shutters! 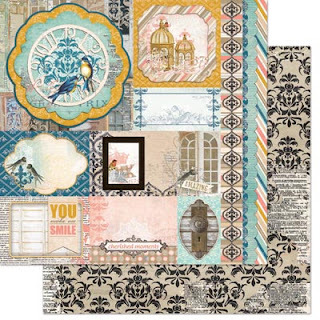 Beautiful collection!I like door paper & mini book.thank you for sharing! The collection is fantastic! I love the colors. 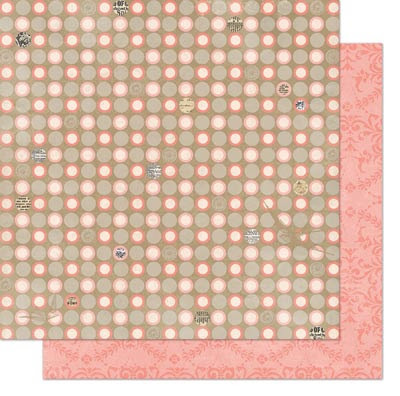 This paper would work great with the old photo's I have of our grandparents. BoBunny always comes up with wonderful designs. Beautiful...love the patterns, the jewels and I'm lovin' your 6" pads!! Gorgeous line! 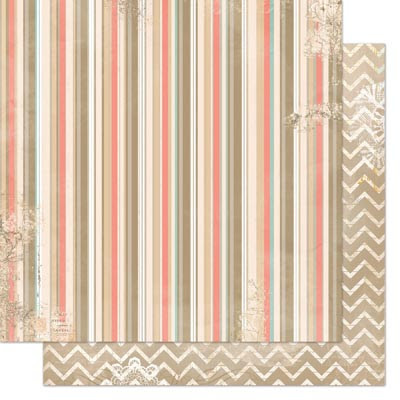 Love that door paper!! This is just beautiful. I love the mini. The doors are fabulous. Thanks for the chance to win. 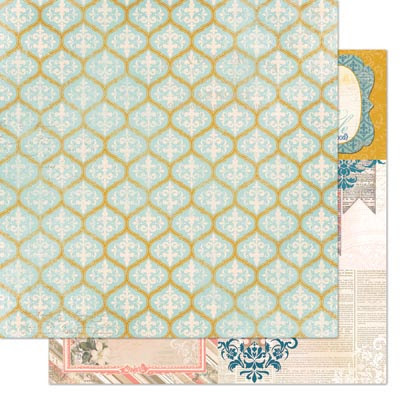 Gorgeous and unusual combination of colours and patterns. Love it - cant wait to see it in the flesh.....but living in the UK will just have too! Thanks for the peek though. Two fab collections. OMG! This is the most beautiful collection ever. I love, love, love the avenues. So so beautiful. So gorgeous! I love the papers with the shutters & windows. Very nice!!!! I love the collection!!! Thanks!! oh WOW WOW WOW!!!!!! Cannot WAIT to get my crafty hands on this one! loooove it! Just wonderful collection once again!! I really loved the mini-album! Yum! Love the colors in this collection! LOVE this line! The colours and design are simply beautiful. And that mini album is so cute. Can't wait for this one. 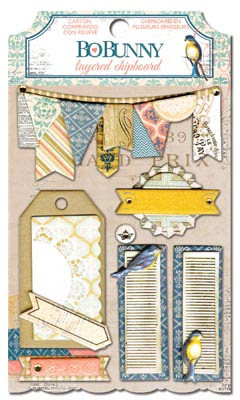 Love the colours, love the doors, love the birds, love....what the heck, I love everything about this collection! Oh, this is so beautiful!!!! Love everything about the Range. Another beautiful collection! Thanks Bo Bunny! Wow, wow, wow...my jaw is on the floor right now. This collection is absolutely stunning! OH I just love those soft colors! Wonderful collection! oh my! this would match my house décor perfectly!! I see some home décor projects on my future!! aaaah! I adore this line! just my style. I can't wait to see what Gabrielle Pollacco does with this! I think I'm in LOVE! Gorgeous colors, and I love those birds!! The doors and shutters are just amazing. Its all so yummy! :) Yes I am making lots of room for new Bo Bunny! Have a new cropper waiting to fill. I hope the archivers I am visiting next weekends has it all in stock. I am stunned by all of it. I would buy the the collection for the architectural elements alone. Fortunately the rest is awesome too. Seriously, incredible! Oh YES!!! I LOVE LOVE LOVE those doors! I had a soft spot of antique doors for ever and I have a million photos of them. The mini album is on my wishlist as well. THANK YOU for this GREAT collection. This is a stunning line! I love the depth and feel of every element! This is a fave for me!!! Absolutely beautiful! I love the shabby doors and shutters. Misc me collection is fabulous! i must order every single element of this lovely collection! love the windows and doors!!! Oh wow, this new line looks awesome!! Doors and shutters and birds are all favourites of mine! That mini album looks especially fabulous! Oh Wow!!! This is so beautiful!!! I'm not much of a vintage gal but this I would use!!! LOVE that mini album with the doors!!!! 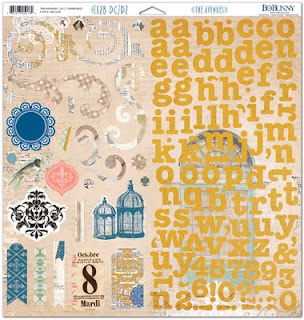 I love how the papers work as a collection, but each individual sheet can be used for a totally different layout for boys and girls. LOVE IT! I have just the space in my scrap room for this collection, totally love it! I must have that mini, I have a thing going on with minis and that is just perfect for one of the projects I have in mind this summer! Definitely liking the doors and shutters! Oh my goodness, I'm not usually a blue or vintage type person but this is a beautiful collection! Beautiful collection!! I'm loving all the doors! Oh my goodness, I think that this is the perfect collection to scrap our new house. 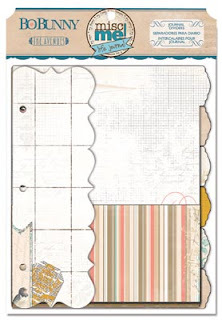 This is GREAT paper...love the concept and the design. Just beautiful! A MUST HAVE!! Oh I love it very much!!! 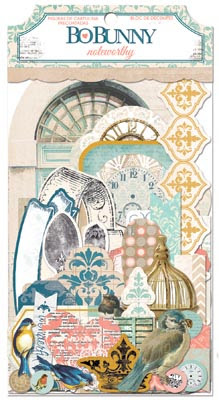 Love the doors, clocks and bird cages. Not a huge fan of birds, but in all it's very pretty. Love the doors and shutters. Very serene collection. love it!! colors, doors and birds are perfect! Oh... I love this collection. I love the gold and blue combo, and the birds. The doors album is super cool. 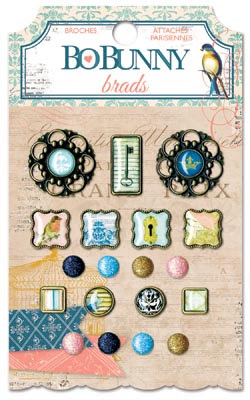 The colors and patterns are exceptional - I especially love the brads and trinkets!!!! 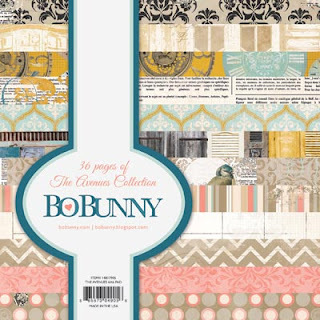 LOVE this new collection, Bo Bunny!! Birds, architecture, and those colors!! What's there NOT to like??! Oh my stars. Absolutely awesomeness! The doors are my favorite and that mini album is mine! Cannot wait to get this line! Oh my gosh! I simply love everything about this collection! The birds, the doors, the shutters, the colors, chipboard, stickers etc! there isn't anything that I don't like, or should I say LOVE! I love the clocks! Very unique collection! Love! Great couloirs in this collection. The doormini album looks interesting. I love the paper with the window shutters on it. Love this new collection. I can see doing quick a few different projects with this line. It is absolutely beautiful! Love the doors and windows! All the papers are gorgeous and I especially love the mini album. Great job Bo Bunny! Oh My goodness!! That is such a beautiful collection! 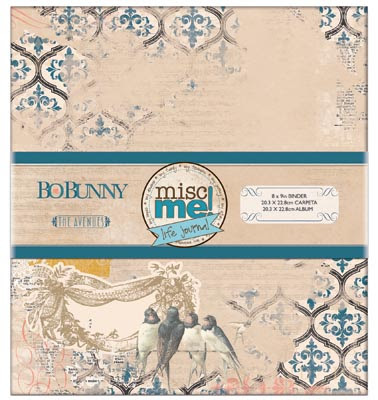 Love the mini album and the papers... classic Bo Bunny! 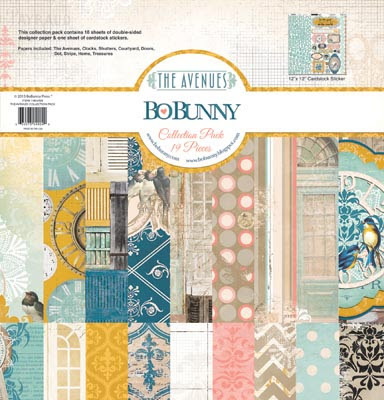 Amazing as always BoBunny best scrapbooking designs ever! 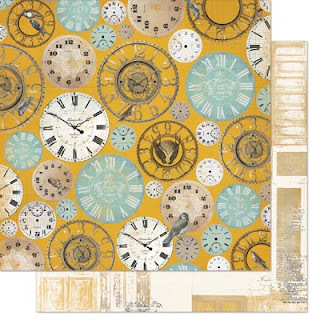 Love the clocks, the doors, the birdcages.... And those amazing colours, yum! The Avenues is sweet and I like the brads and trinkets! OMG, love this group! It is impossible for me to single out anything specific. I want the whole thing! I am in love! Totally 100% head over heels with this line!It's calling to me. . . I saw just the collection before and fell in love with the doors and shutters so of course the mini album jumped out at me! Love it!! The extras are fantastic!! Such a beautiful collection. I love the doors. 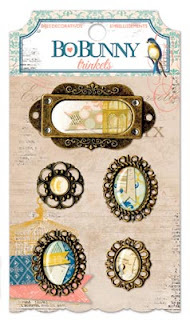 I LOVE the doors and shutters papers and all the elegant embelishments! 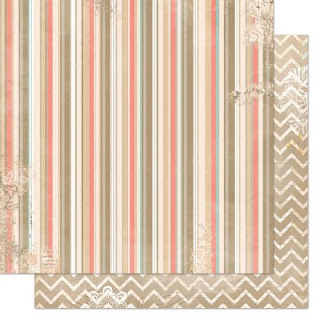 I like the stripes and chevron paper! The metal embellies, flowers and dimensional stickers are nice too. Be still, my heart! This collection is amazing! The doors - love everything with the doors!! So much vintage goodness! Really love the shutters! Ohh this is a really beautiful collection! Love the color combination and the versatility of the patterns. 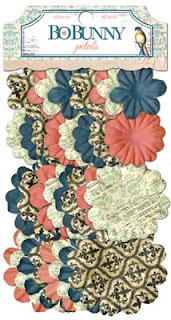 I especially love the damasks. Can't wait to see this in person. love the doors and the shutters! 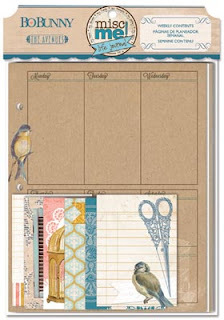 and the journal dividers! Oh my goodness, I think this might be my new favorite!! 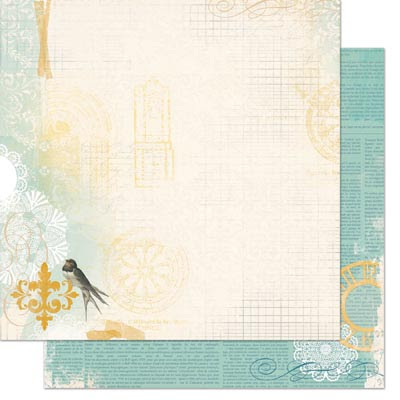 Soft, subtle with a bit of splash thrown in...what is not to love about this line of paper. I adore the cream paper with the door on it. So dreamy. Love the birds. Want the trinkets, brads and flowers. You have my mind spinning on how to play with this collection. Thanks so much for the chance to win. I love all the birdcages and the mini album is adorable! Super cute stuff! I love it! The colors are beautiful . Oh wow! I love, love, love this line. The mini book is fantastic! I can't wait to make one. Gorgeous collection! My favorites are the shutters and doors papers! Thanks for the chance to win! Shut the front door!!! I am in LOVE with all the weathered doors and windows! Spectacular! I love Bo Bunny any and all of it. Especially love the calendar pages. Guessing ill be making space. Oh WOW, love this line!! So Beautiful! 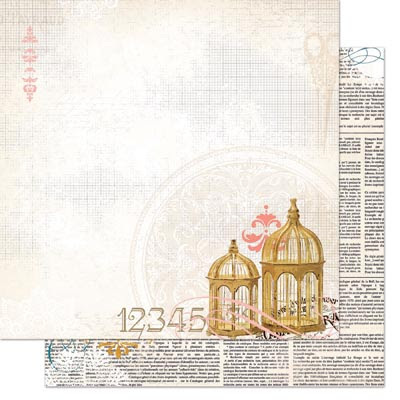 Love all the papers...really like the sheet with the birdcages. I'm making room!!! I'm making room!! Love everything especially the birdcages and windows! I love vintage designs so of course I'm crazy about The Avenue! Love the elegant look! Birdies and shutters and doors - OH MY! Oh is this just beyond anything I've ever seen! Gorgeous and so unique....LOVE!!!! wow-amazing and unique collection; the doors and shutters are fabulous!! My mind is reeling with ideas for this great collection! Love love love love this collection!! LOVING the shutters and doors!! GORGEOUS!! Oh, I'm loving those birds!! Oh MY love this entire collection. I need some of these papers right now. Oh wow, that is sooo gorgeous. Love this line!! and will be purchasing it when it becomes available. This is just another beautiful collection! I love the mini album!! Another irresistable collection! Would love to win some! Awesome collection!! I'm in love with the doors, windows papers!!! I need it!!lol! I really like the vintage feel. AND the birds! LOVE this collection! And the journal album is awesome! So beautiful! Love the birds, birdcages, flowers and mini album! Omg, another collection I'm gonna have to buy! Birds, bird cages, doors, the album, everything looks great! Love the colors! 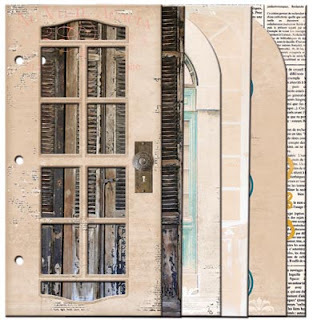 Especially love the papers with the doors and the one with the shutters! Oh my goodness!!!!!! I cannot wait to get my hands on this lot!!!! Stunning once again Bo Bunny!!!!!! Can you say wedding album? I can see it. OMG I am in love with this line!!! Fantastic new line...these colors are wonderful!!! Love the mini album with the doors & the colours are wonderful. Oh my goodness-this is gorgeous! And oh so versatile-you can do everything with it.Fantastic job! 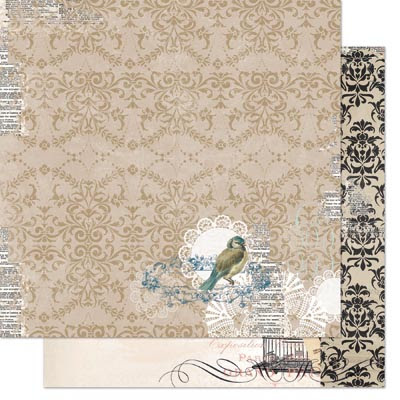 Love, love, love this paper. How beautiful. Thanks for the chance to win some. This is a gorgeous collection! I adore the door mini album and the birds are elegant. This is the perfect blend of elegant and homespun!!! Love it!!! I keep coming back to look at this collection. It is so beautiful. Can't wait for it to hit the stores. Be still, my heart!!! LOVE the color combinations.....yummy!!! The Note Paper and Recipe Contents and Dividers are so pretty! This is gorgeous! I love the windows and doors! A very pretty and romantic line, such soft colours and lovely images! I am especially fond of the shutters and doors. Thanks, BoBunny, for the ongoing inspiration and your endless ability to produce awesome products! Thanks so much for the chance to win. Thanks soooooooooo much for the chance to win! Love this beautiful new line! How do the BoBunny designers outdo themselves every time? Thank you for inspiring me again! 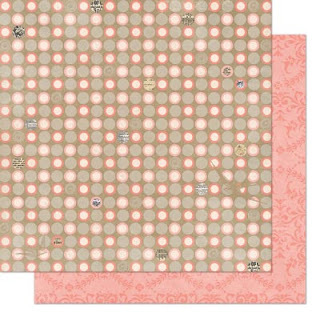 soft colors, classic motifs, what is not to LOVE? Thanks! I love these colors and the shutters!! Oh, I love the combination of blue and mustard and the old fashioned patterns! So beautiful! wow this is a stunning collection!! I'm in love!! Beautiful! Love the soft colors and the sticker sheet with the days of the week! the calendar contents and dividers look really interesting! Oh, I love this new collection!! Judy D.
OH **gasp** this is just gorgeous!!! Love the paper with the doors! 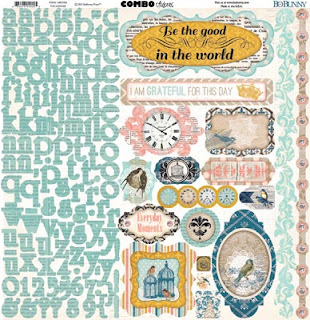 Love this line...think my art journalers, card makers and scrapbookers all will find good uses for it! I love the colours in this collection and those door.....wow!! Such great colors! It's great for vacation photos! Gorgeous!!! Of course I have room for this beautiful line. Perfect for some pictures in need of scrapping! Love the doors papers and the mini album! Wow! This line is beautiful!! I love the soft colors and the doors are fabulous!! Can't wait for it!! Classic and elegant-definitely making room for this one! I see lots of European Vacation layouts using this collection! Perfect colors, perfect designs! No way I can live without autumn song. It's gorgeous! I love t his collection, it's such pretty colors and I love, love the doors! OMG>>>>I love the birds and the doors. This one is absolutely stunning!! A fave in my book for sure!!!! Love, love, love the door album and the shutter paper. The color scheme is great too. Can't wait to see in person. This line is so vreative! Love the mini album and the gorgeous papers! So cute Bo Bunny!!! The shutters are very cute. The papers and Brads are awesome like usual. 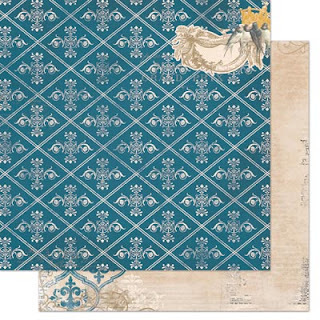 I love the shades of light blue and teal, the colour scheme is gorgeous!!! The patterns are gorgeous particularly the doors. Plus the fact there's all the misc collection to mix with it!!! Must have this entire kit to stroke and play with!!!! This is super cute!! The doors are so original and fresh! OMG! I nearly jumped for joy when I saw this collection. Just love the door, shutters & little birds. And that album is the most beautiful ever. Can't wait!